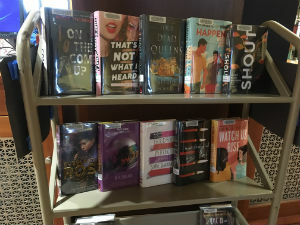 Check out a book from the New Teen Book Cart next to the Reference Desk. We have new titles by Angie Thomas, Laurie Halse Anderson, and Bill Konigsburg to name a few! See our Teens New Arrivals list for more!